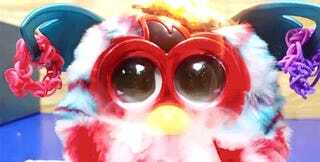 Furbies are little monsters and I never understood why they existed until today. As it turns out, they’re not useless excuses for a toy, but rather the perfect play thing for a red hot nickel ball. 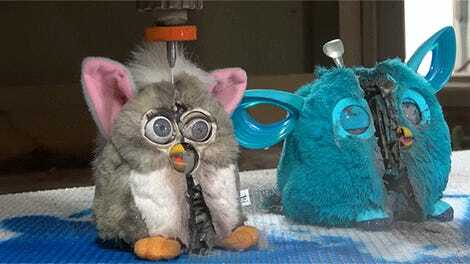 Furbies, you see, are meant to be burned. The furry exterior singes nicely, the body houses the burning flames quite well, and those giant freaky eyes cry crazy tears of smoke. 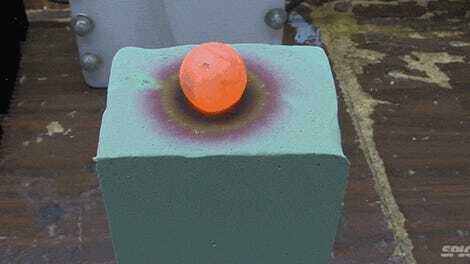 Is it a little twisted to take enjoyment from a red hot nickel ball burning a Furby from the inside out? Probably. But it’s still more fun than anyone ever had with a Furby.